The long-awaited software keyboard supports gesture typing, one-handed mode, and customizable backgrounds. 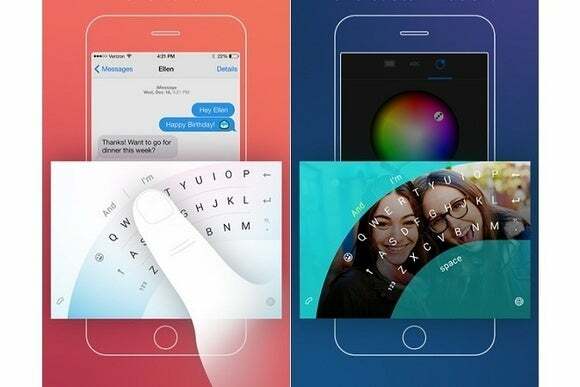 Microsoft’s Word Flow keyboard for iPhone is now ready for public consumption after a brief private beta period. 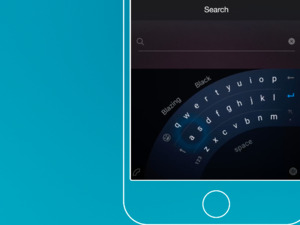 iPhone users can download the alternative keyboard for free from the App Store. Although the Word Flow name is borrowed from Microsoft’s keyboard for Windows phones, the iPhone version has a few unique features. A new “Arc mode” helps with one-handed typing by fanning out the keyboard from the bottom corner of the screen. Users can also choose from a set of background themes, or customize the background with their own images. 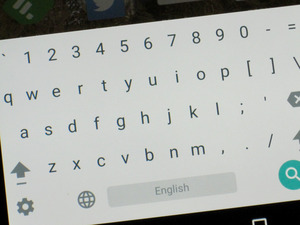 The keyboard is otherwise similar to its Windows Phone counterpart. With gesture typing, user can slide a finger over each letter instead of tapping, and the keyboard will predict the appropriate word. Next-word prediction is also included, and gets better over time as Microsoft learns your typing patterns. Users can also optionally provide contacts list access, which lets the keyboard predict the names of people you know. The iPhone version of Word Flow has been rumored since January, and in February Microsoft acquired SwiftKey, whose existing iPhone keyboard also includes gesture typing and word prediction. At the time, Microsoft said it would integrate SwiftKey’s technology into Word Flow, but it’s unclear whether this has happened yet. Microsoft bills its new keyboard as a “Garage project,” suggesting that it’s somewhat experimental. As for Android, The Verge has reported that Google’s operating system will get its own Word Flow keyboard later this year. Why this matters: While there’s no shortage of third-party software keyboards available for the iPhone, Microsoft’s convenient one-handed mode could help Word Flow stand out from competitors such as Swype, Fleksy, and TouchPal. More broadly, big tech companies may be eyeing the keyboard as a launching pad for money-making services such as search, which may explain why Microsoft is currently willing to give its keyboard away for free.